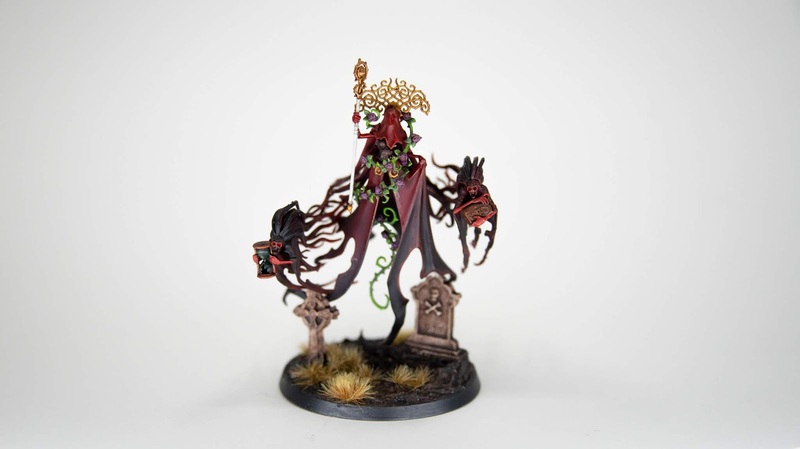 The latest hero for the Nighthaunt faction in Age of Sigmar, Lady Olynder, is one of the models I was the most excited about with these new releases. She is simply a gorgeous sculpt, and I wanted to make sure to do her justice. 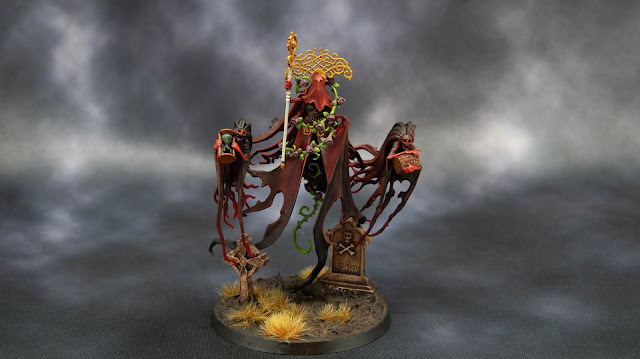 In fact, the entire theme for this Nighthaunt army came from how I wanted to tackle this piece. 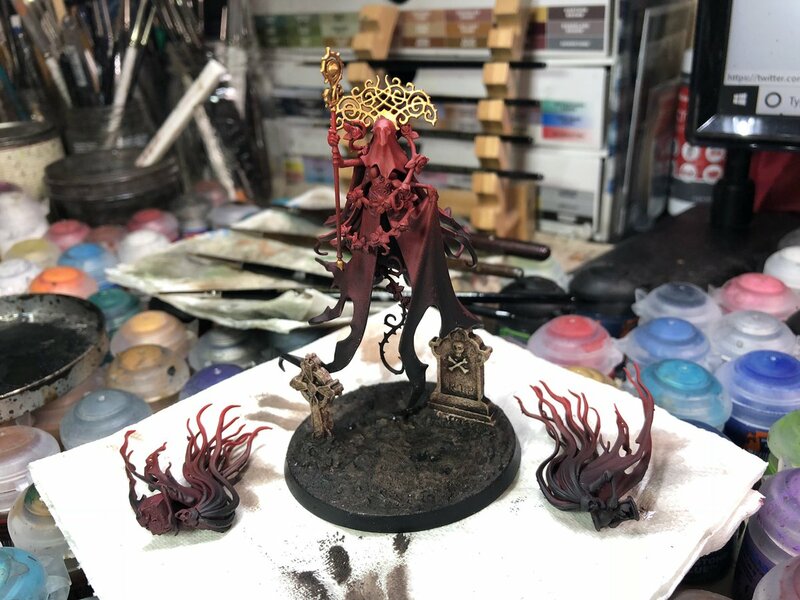 I really wanted to channel the 'Blood spirit' idea use the blood red theme. It was really seeing this sculpt that inspired that thought. I inverted the flow of the red to black for this one. The hope is that it allows her to stand out from the rank and file Nighthaunts, while still feeling like a cohesive addition. I added the gravestones to the base to give her a little extra support. For the roses I went for a light purple approach, which adds a nice little splash of contrast. 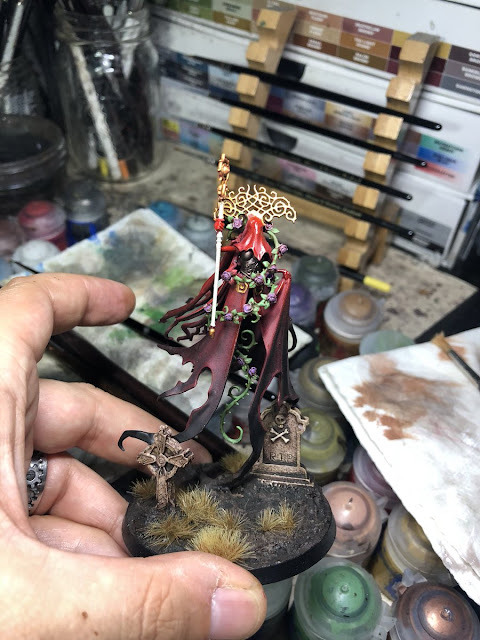 Likewise, the bright varnished gold of her headpiece helps to draw the eye on a model that could be very busy if everything was black and red! 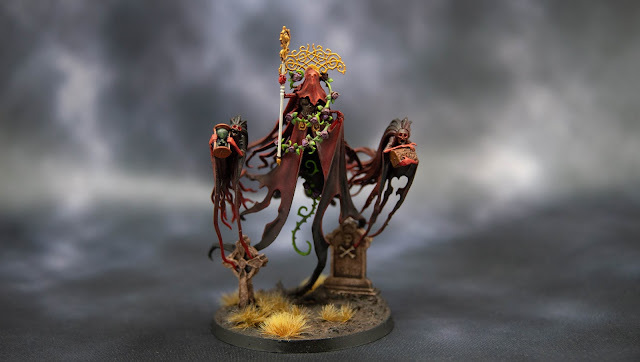 I'm very happy with how the scheme works for these models. It's always a nice feeling when a plan comes together as they say! The next Nighthaunt project I am really excited for will be the new Black Coach. Oh yes, I have some plans for that one!